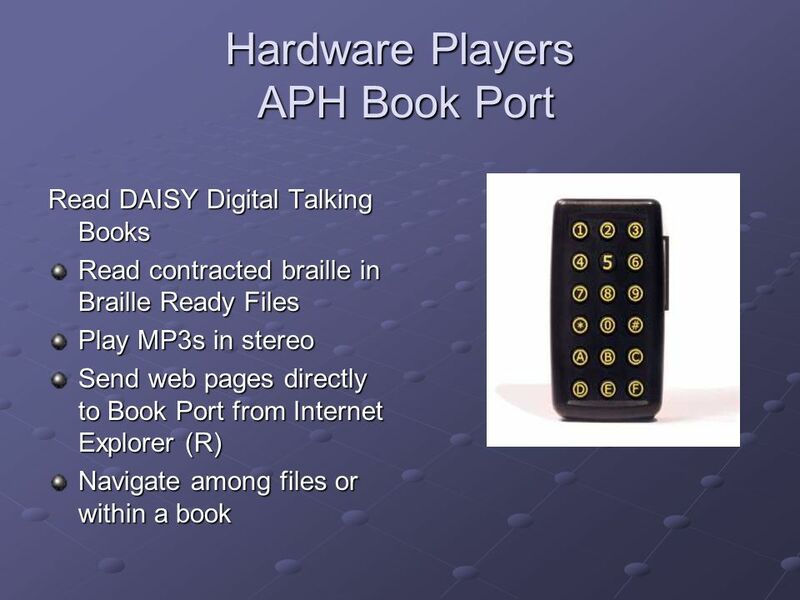 Using Digital Media With Students Who Have Print Disabilities Presented by Marty R. McKenzie, Access Technology Coordinator Clay E. Jeffcoat, Access Technology. 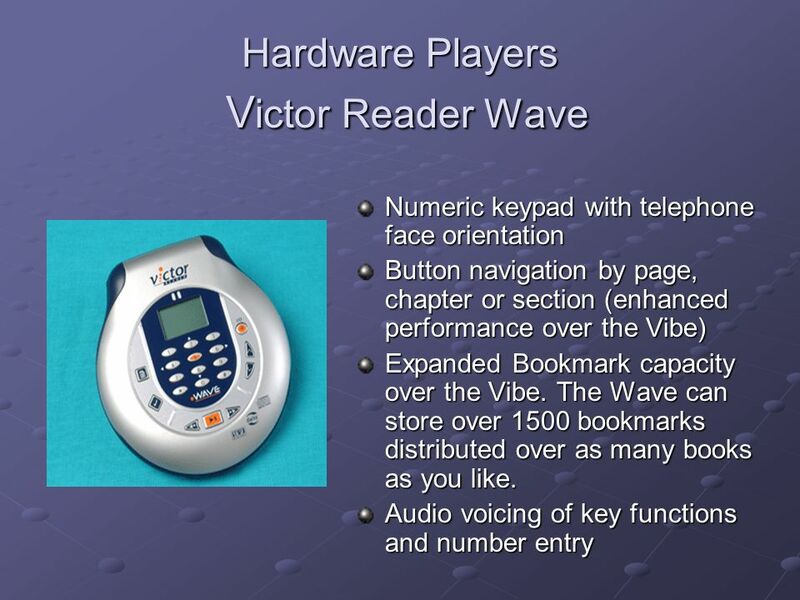 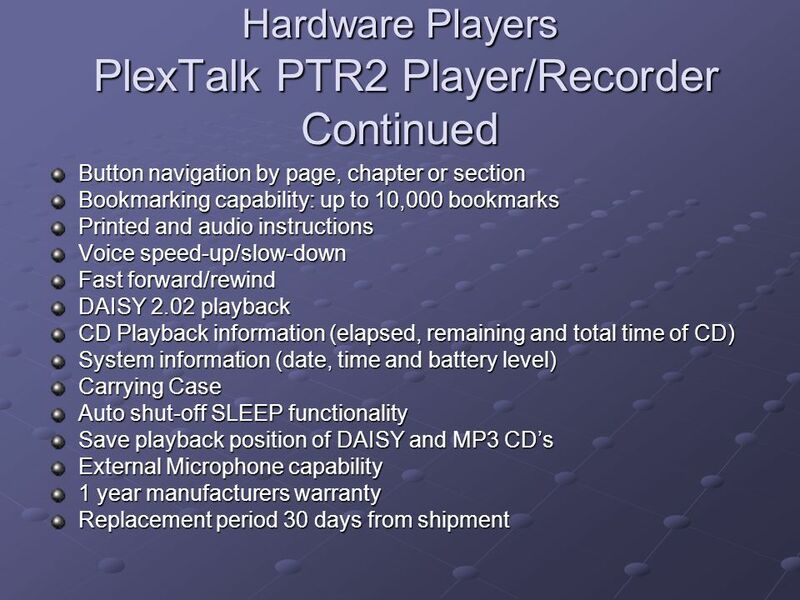 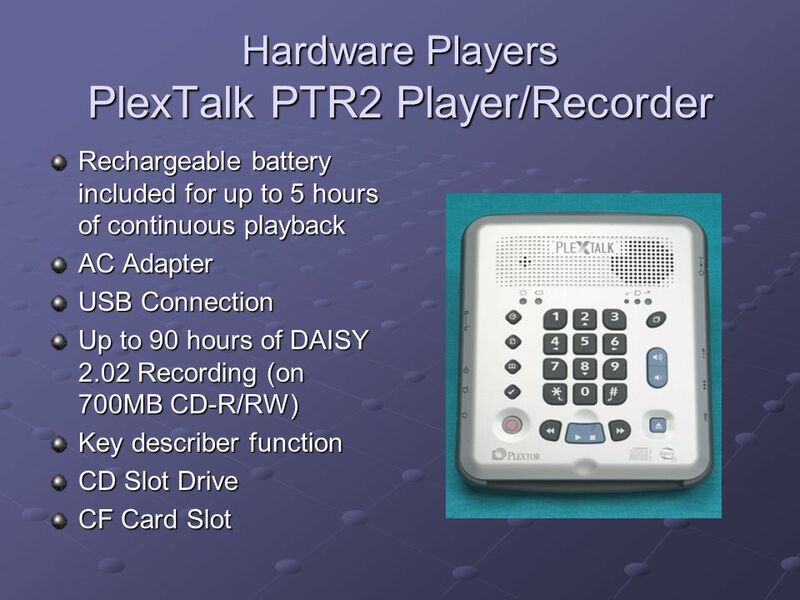 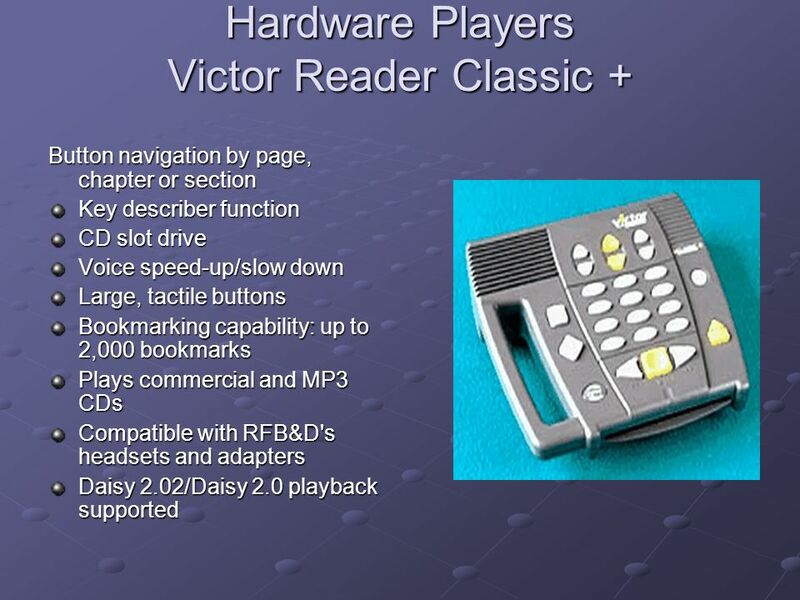 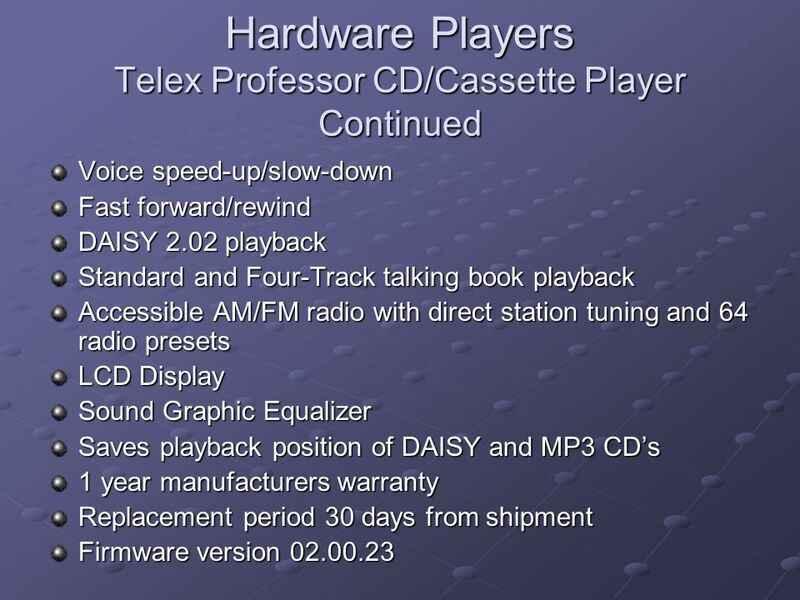 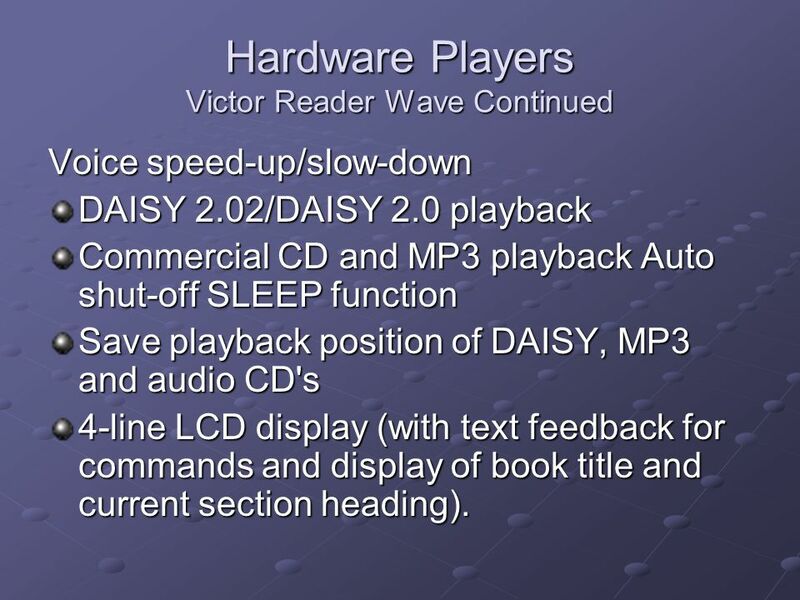 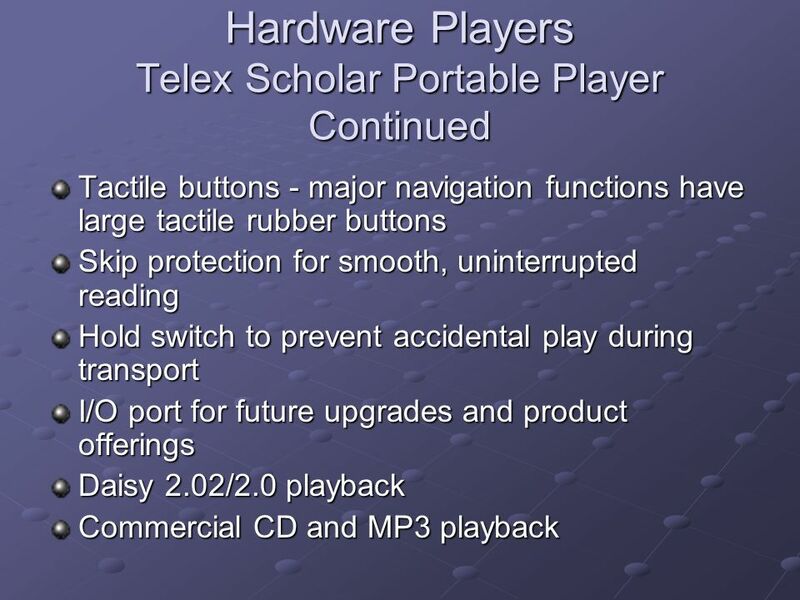 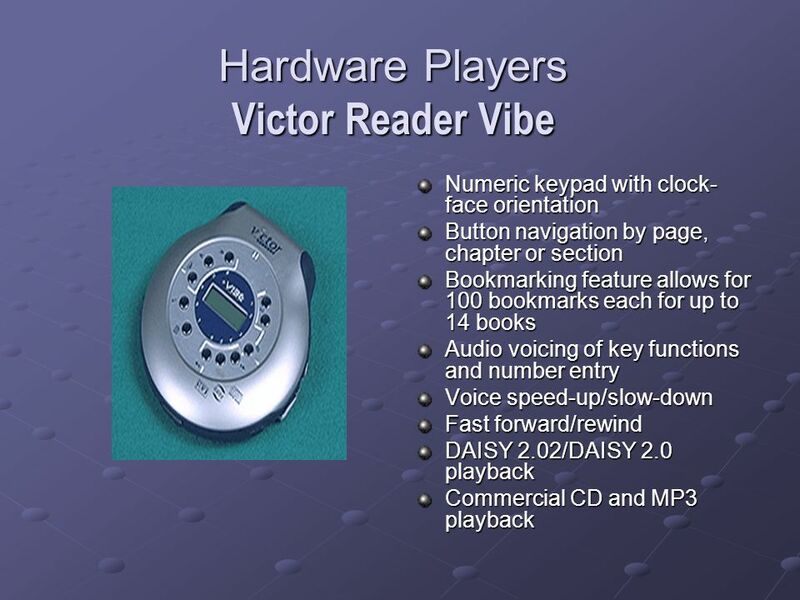 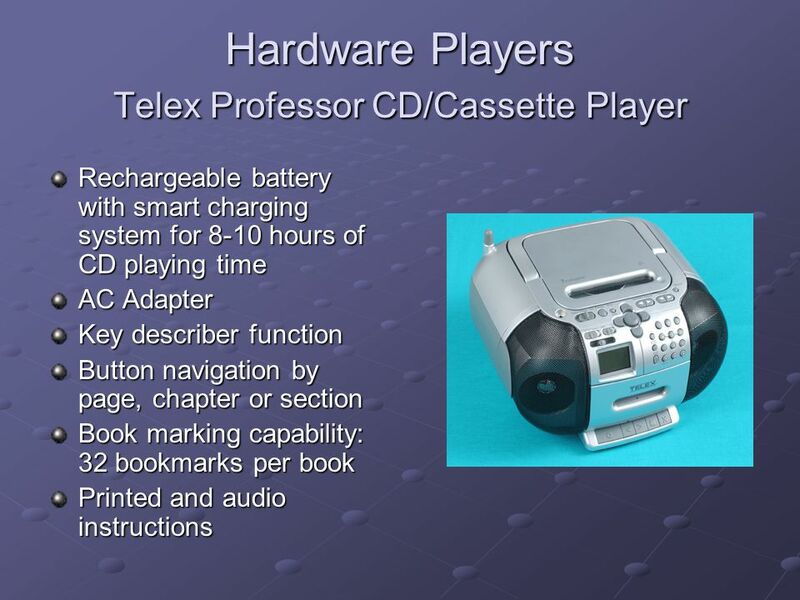 13 Hardware Players Victor Reader Wave Continued Voice speed-up/slow-down DAISY 2.02/DAISY 2.0 playback Commercial CD and MP3 playback Auto shut-off SLEEP function Save playback position of DAISY, MP3 and audio CD's 4-line LCD display (with text feedback for commands and display of book title and current section heading). 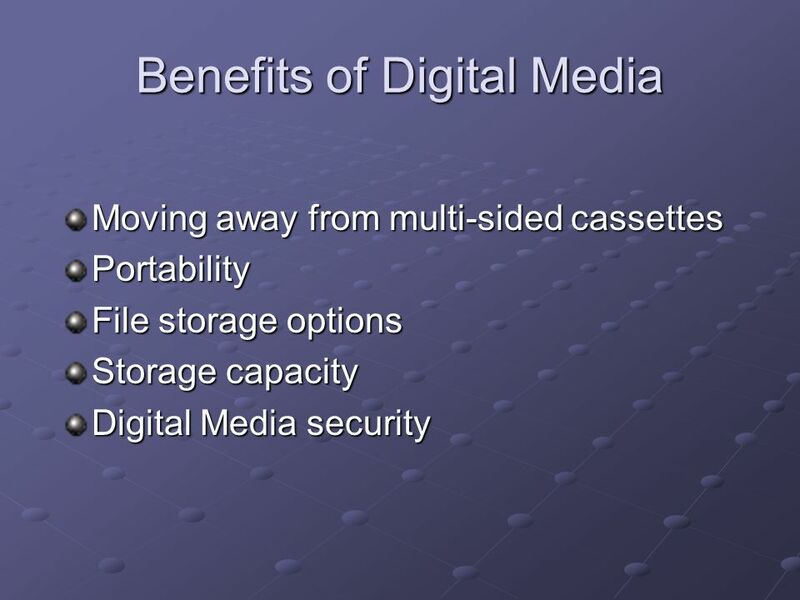 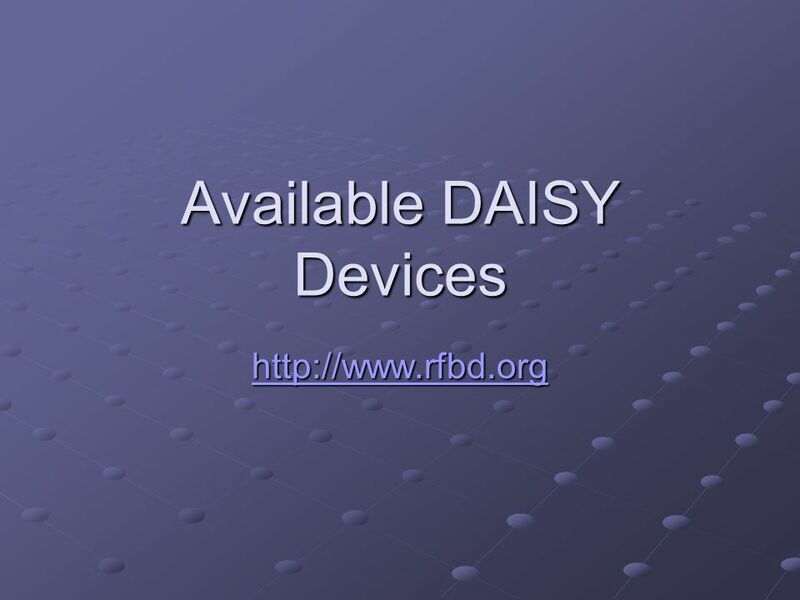 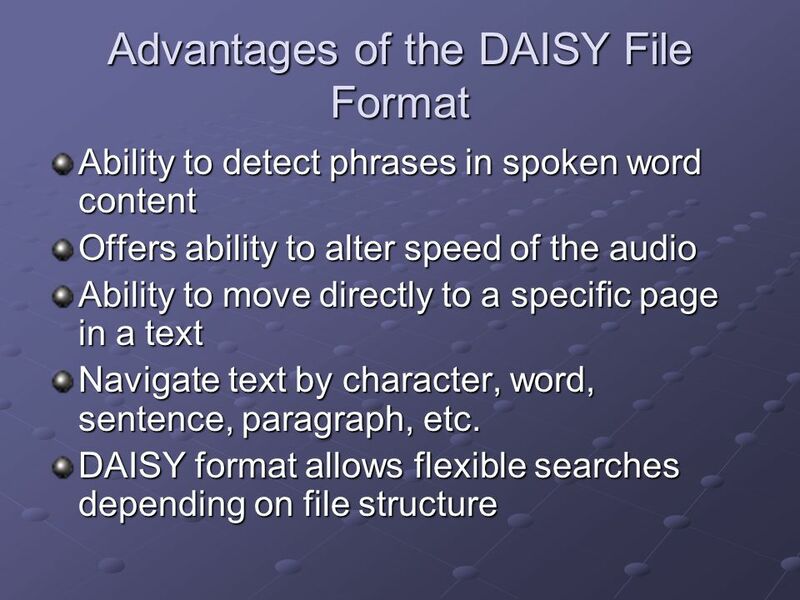 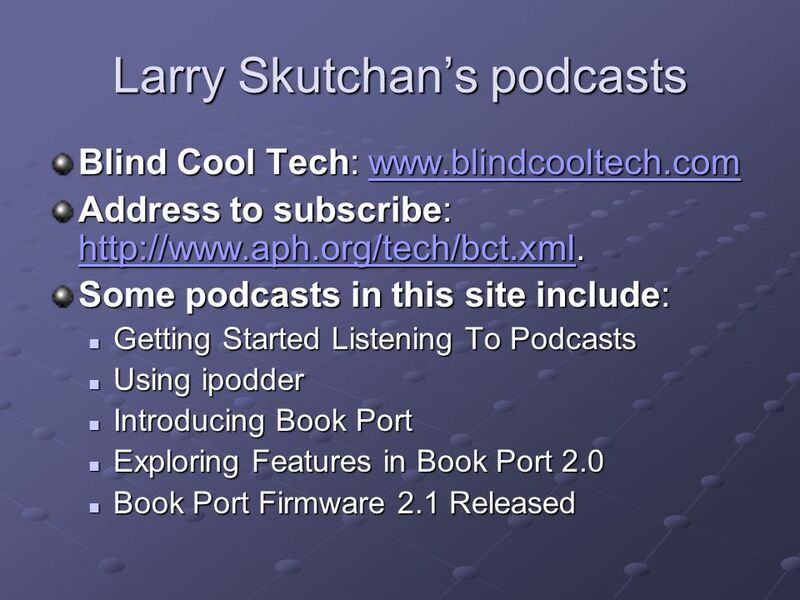 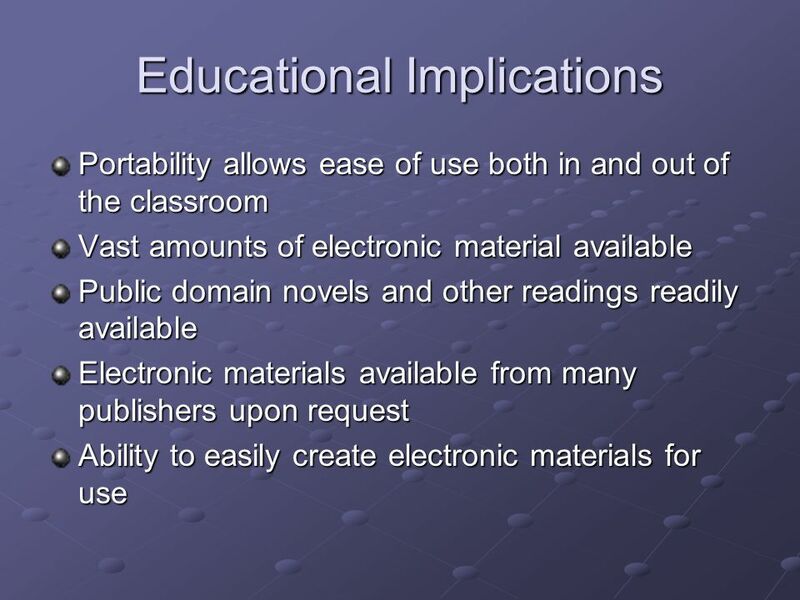 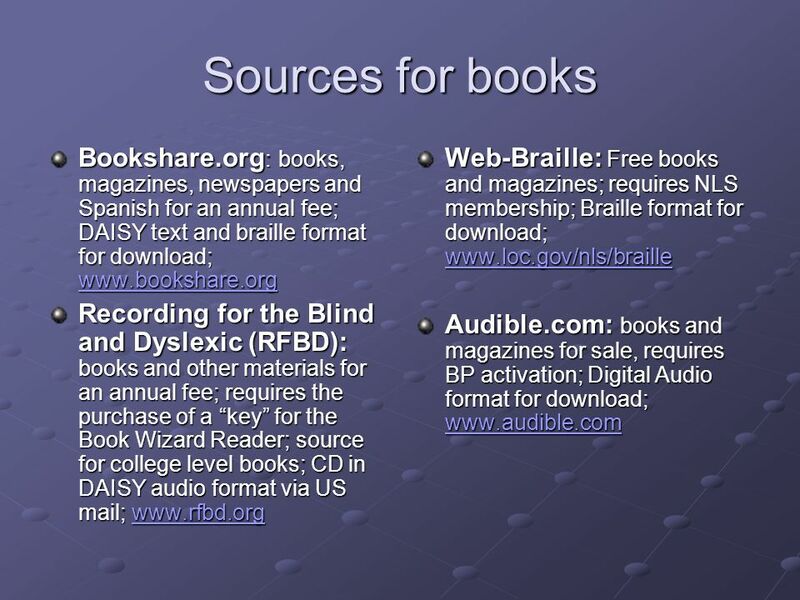 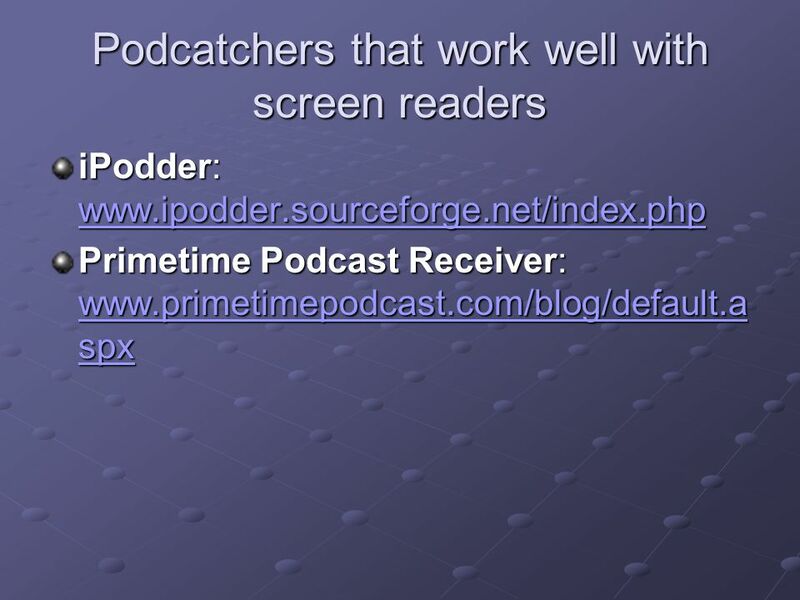 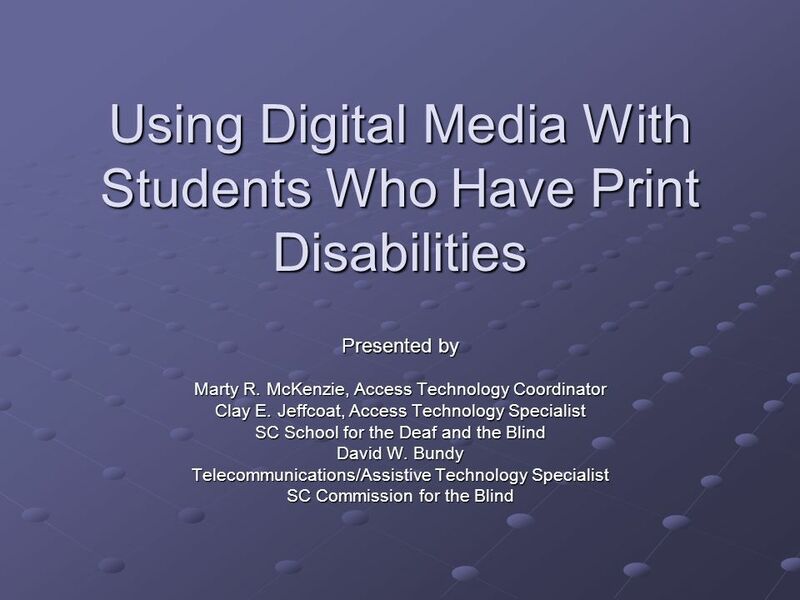 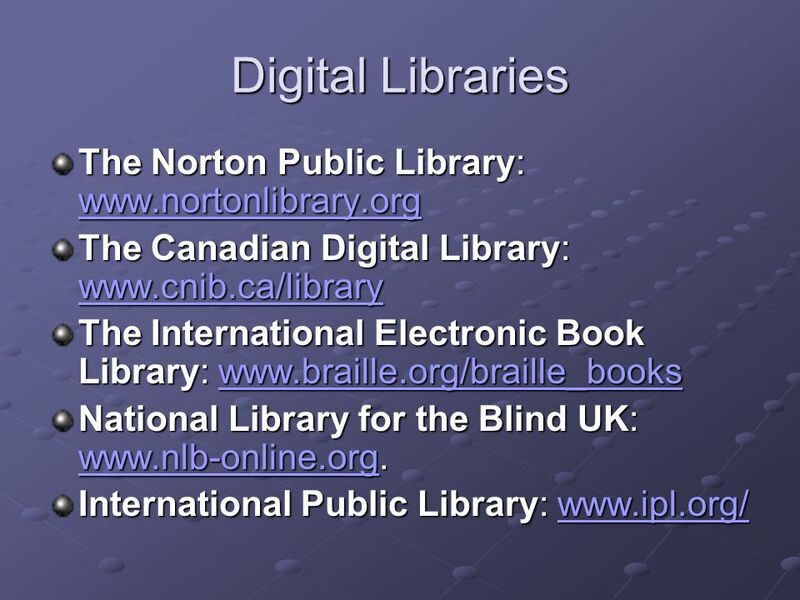 Download ppt "Using Digital Media With Students Who Have Print Disabilities Presented by Marty R. McKenzie, Access Technology Coordinator Clay E. Jeffcoat, Access Technology." 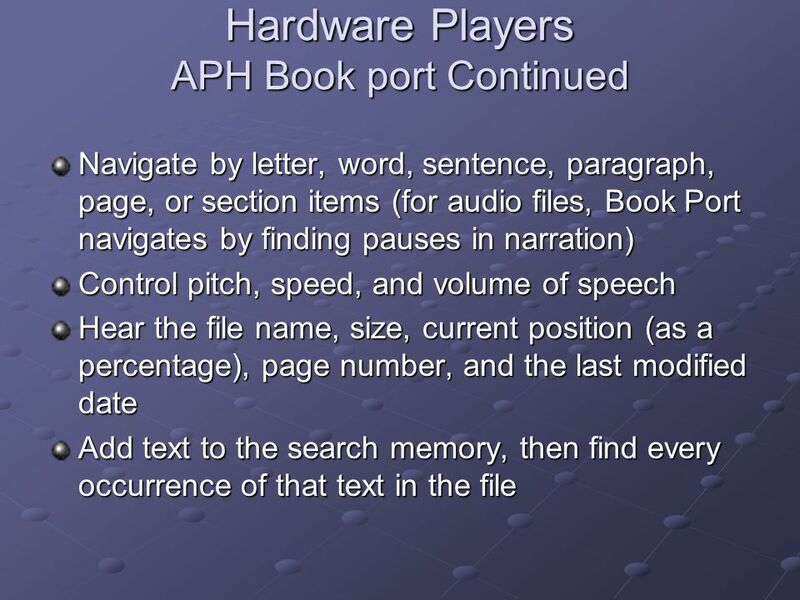 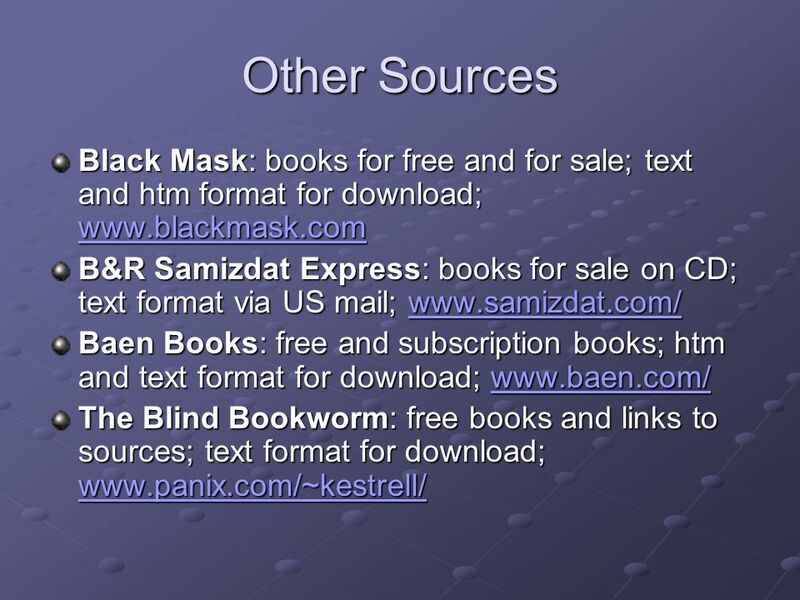 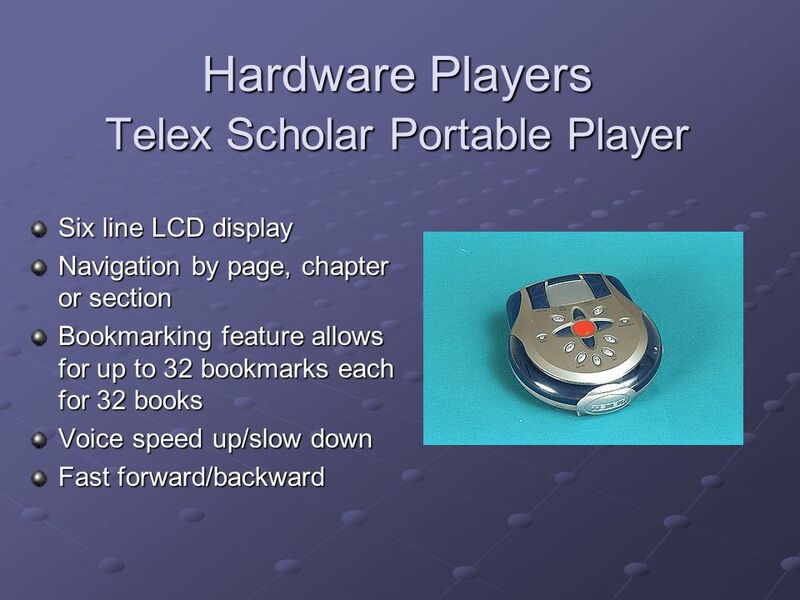 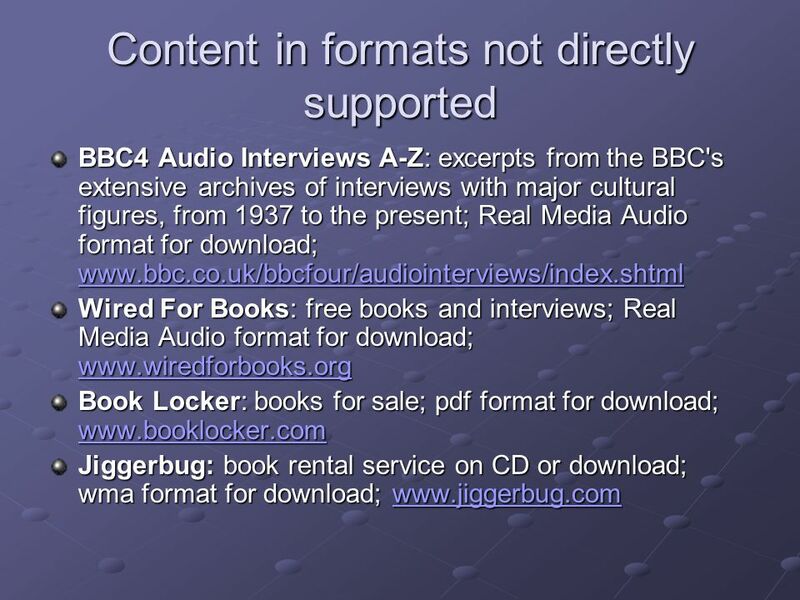 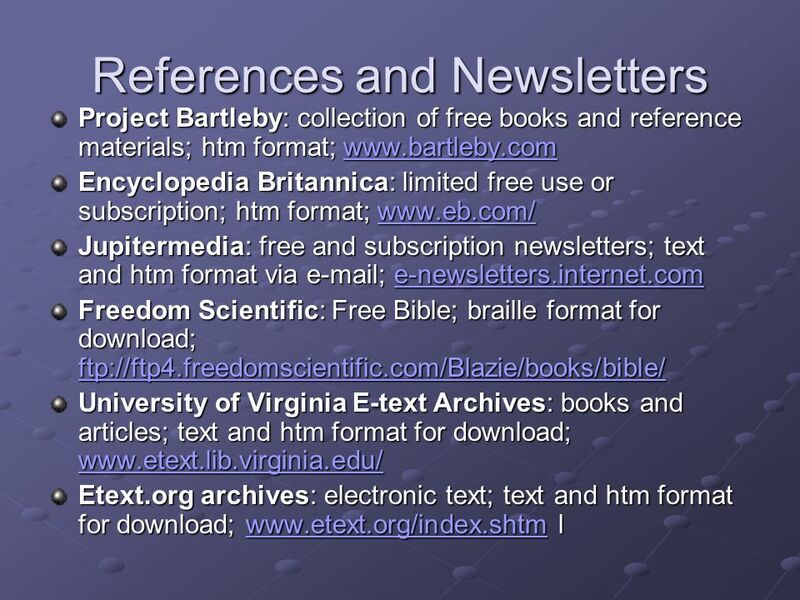 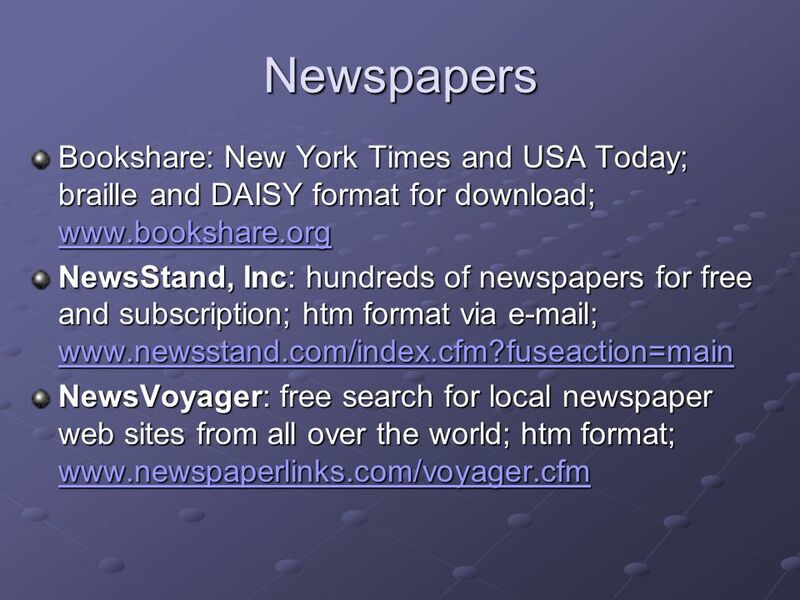 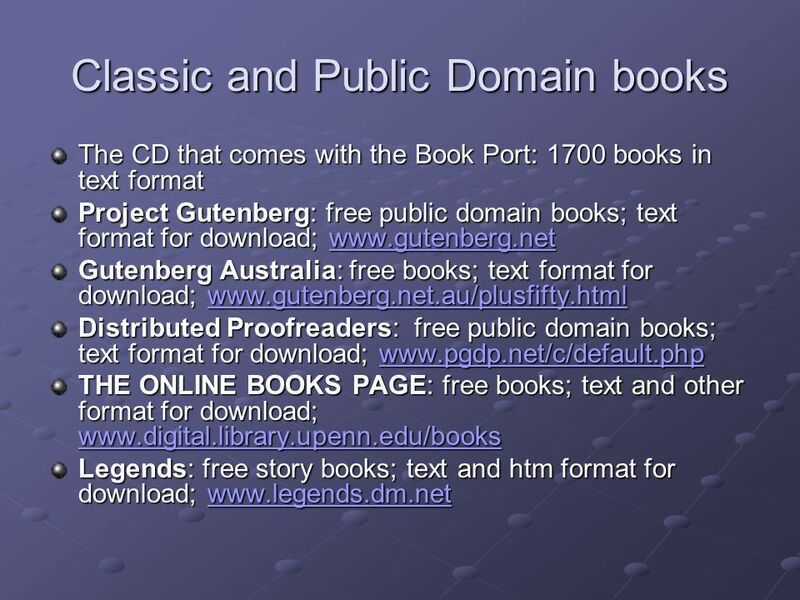 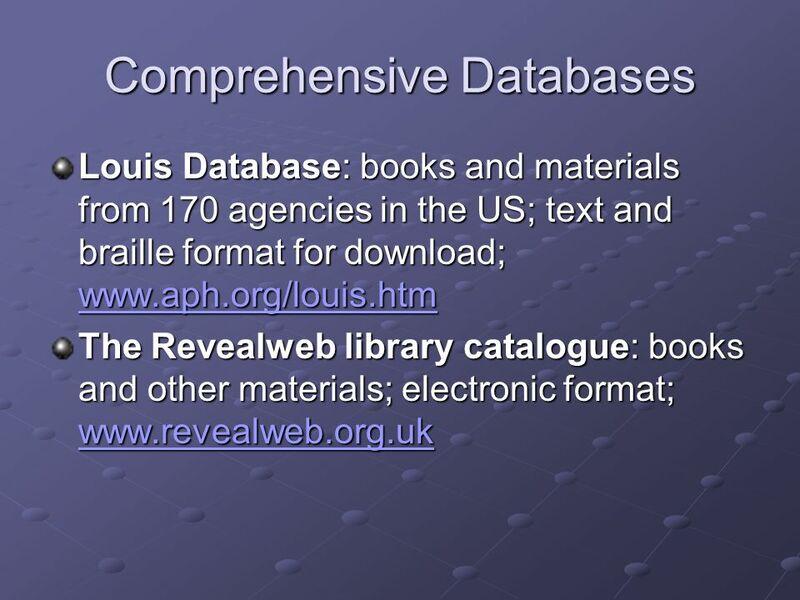 Book Port Plus Navigating the Different Files Presented by Maria E. Delgado. 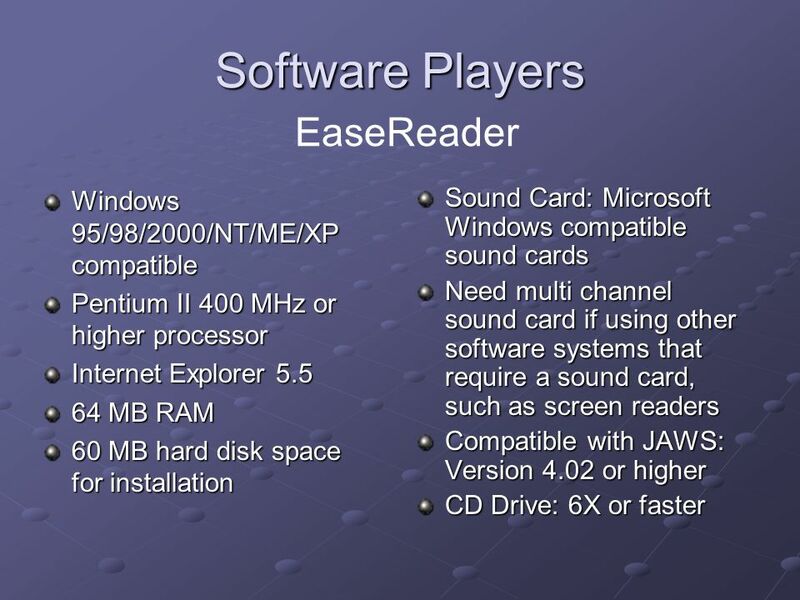 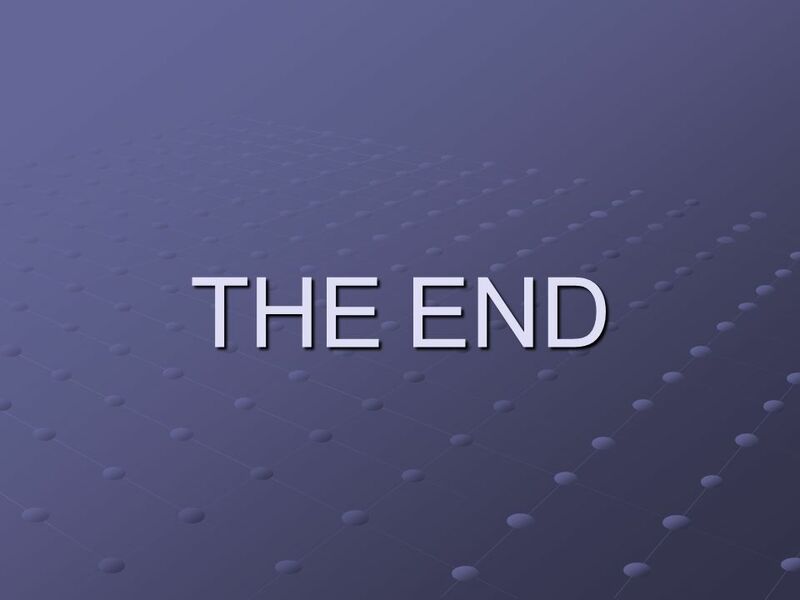 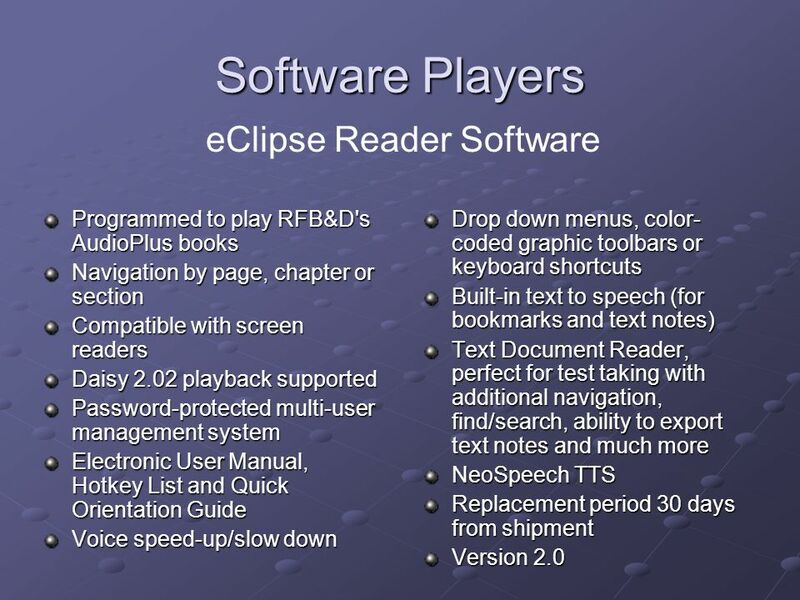 Chapter 3: Software Basics Section I: Preparing to Use Technology. 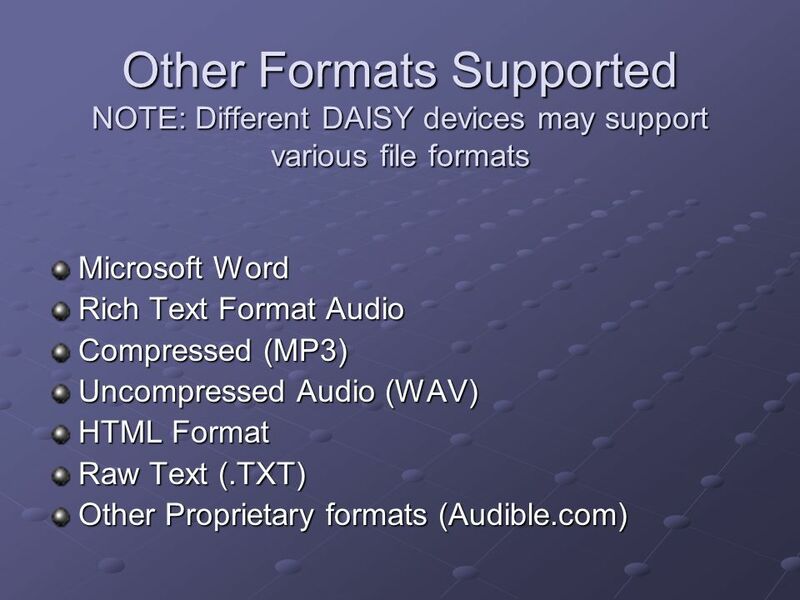 Royalty Free Music for Schools Do You Have the To Do a Podcast? 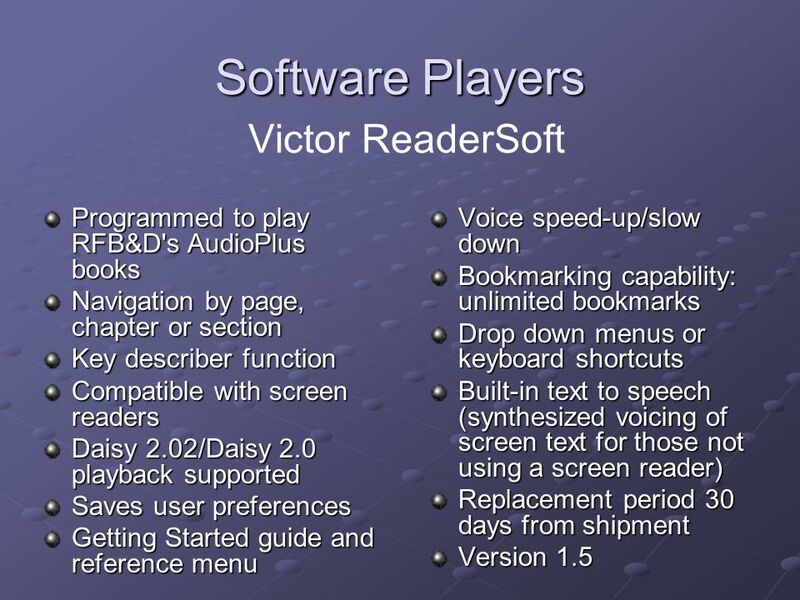  Mountbatten brailler  Braille Plus, refreshabraille 18, querty keyboard  BrailleNote  PacMate  Humanware Victor Stream  Bookport Plus  Embossers. 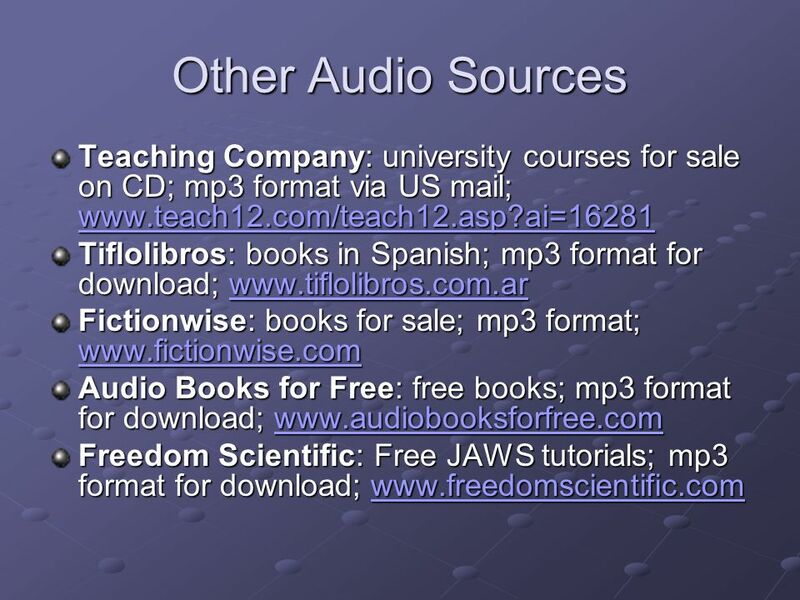 Audacity Audacity® is free, open source, cross- platform software for recording and editing sounds. 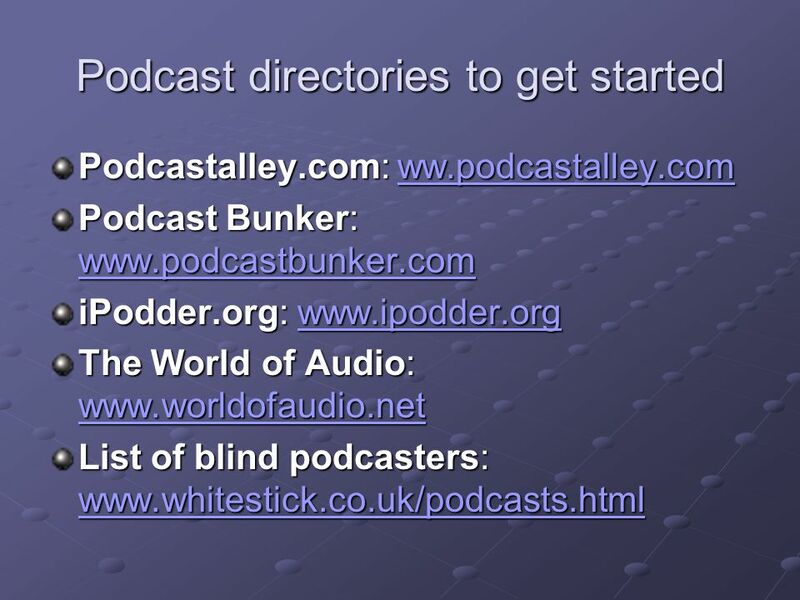 Audacity is available. 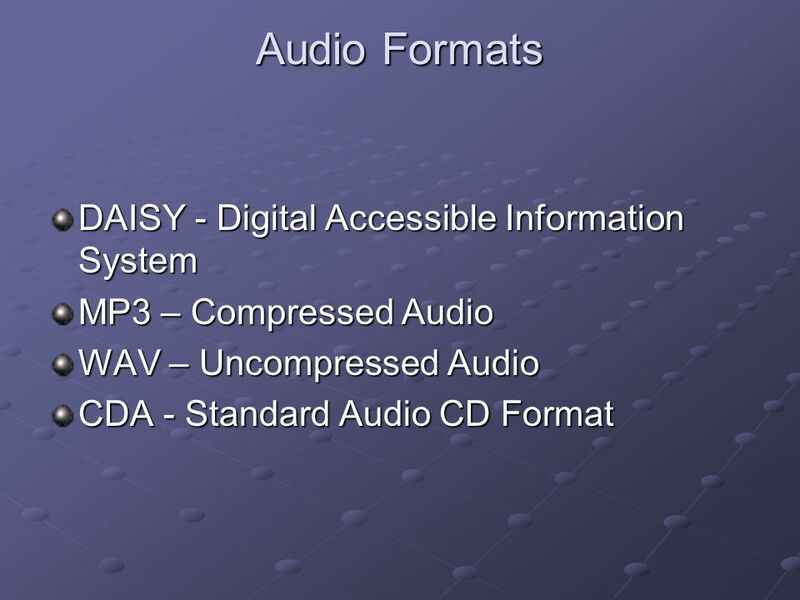 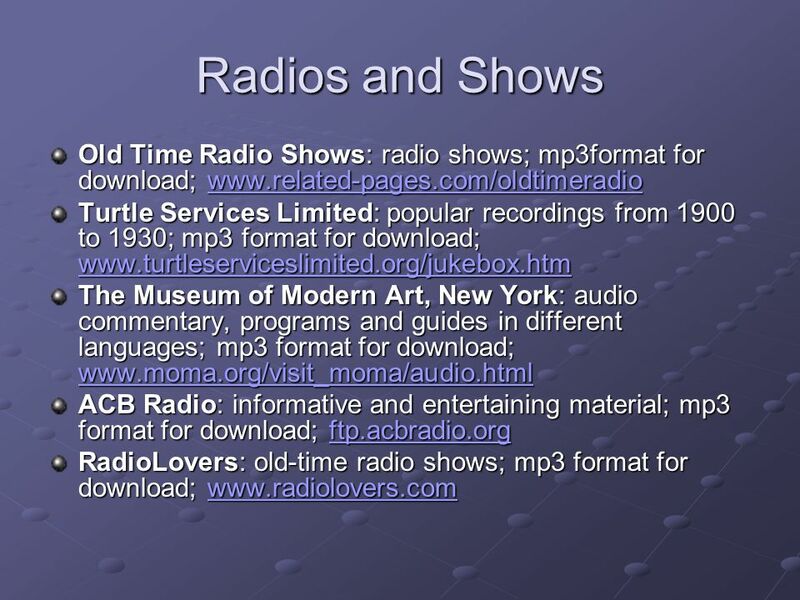 4.1Different Audio Attributes 4.2Common Audio File Formats 4.3Balancing between File Size and Audio Quality 4.4Making Audio Elements Fit Our Needs.